These are truly incredible times to not only be a learner but an educator as well. The access to information we have is unlike anything we’ve had before. And the tools we have to create a learning environment where all students can succeed are ever increasing. While these are incredible times, it can be quite daunting as an educator to look across this ever-changing technology landscape and feel unprepared. Using the ISTE Standards for Teachers as a guide, it is important for students to have educators who create learning environments that allow them to innovate, invent and create in ways that are only possible through the use of technology. Educators must also be prepared to continuously move forward, always seek out the best pedagogy and tools to create learning environments students need and deserve. Being a Tech-Savvy Educator doesn’t have to be either daunting or complex. It doesn’t mean completely changing our practices or abandoning what already works. It means looking to the tools of technology to supplement those strong pedagogical practices already in place. 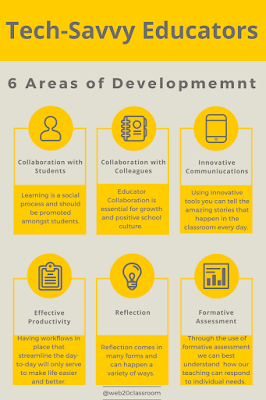 Making improvements through the use of technology in each of these areas can reap huge returns on student learning and understanding and make the overall job of teaching easier, better and more innovative. Collaboration with students in and out of the classroom is a building block of being Tech-Savvy Educator. Learning is a social process and should be promoted amongst students. Collaboration comes in many forms from allowing students to work together to solve problems to fostering an environment where students can build off the learning of others. It is essential for Tech-Savvy Educators to build effective School:Home Communications. Using innovative tools you can meet parents and the community where they are and share the amazing stories that happen in the classroom every day. Tech-Savvy Educators need to work smarter not harder. Having workflows in place streamline the day-to-day demands will only serve to make life easier and better. 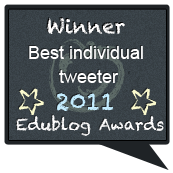 Reflection is something Tech-Savvy Educators do on a regular basis. It is also something that is promoted amongst students as well. Reflection comes in many forms and can happen a variety of ways. 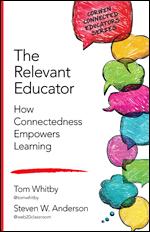 Tech-Savvy Educators understand the need to know where students are in their learning as soon as possible. Through the use of formative assessment we can best understand not only how students know what they know but how our teaching can respond to individual needs. 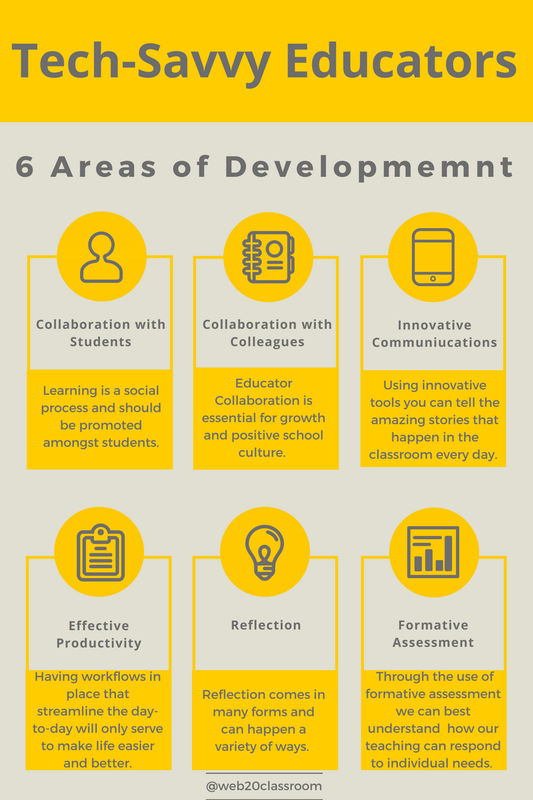 There are so many more tools that can fit into each area of development. And some tools definitely overlap. Want to learn more? Grab a copy of the Tech-Savvy Teacher presentation and download the resource guide! 3. 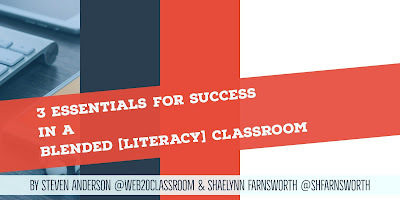 Accessible Texts and Materials - Finally, recognizing the capability of differentiating content based on student needs in a blended literacy classroom is an essential component for success. With the access to information and support from platforms like ThinkCERCA, blended learning should not limit student choice to one particular text or resource. In fact, through collaboration with the librarian or media specialists, student choice in what they read should increase exponentially. 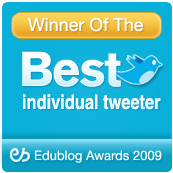 An digital text that is linked to an LMS (Learning Management System) is not blended learning. Blended learning in a literacy classroom includes multiple texts and information that are high interest and available at all independent reading levels. The Common Core State Standards are end goals that are scaffolded and applicable to any content which is see in the expert reader. Expert readers apply similar skills no matter what they are reading. These transferrable strategies are what we intend to fill our students’ toolboxes with and are done so through text in which they can independently access. And just like the fluidity of student interests, so too is their independent reading level. It can change based on prior knowledge, motivation, or interest. When students have endless access to information and texts everyone wins. Fill your blended literacy space as you would a classroom library; full of books, informational texts, articles, media, and audio at all levels and interests!